Okay, y’all, I’ve put out the “help wanted” sign because I have no idea how to handle the lighting over the sink area in my kitchen. And I need to get this decided because my brother-in-law Bill and my sister Cathy will be back from their trip-around-the-country business trip soon, and they’re coming to help me with all of the electrical stuff for my kitchen around the 26th of this month. In the meantime, I’m supposed to get pictures/drawings/diagrams to him so that he knows exactly what I want before he even arrives so he can hit the ground running and not waste time that weekend. Here’s my conundrum. The cabinet side where the sink is located is kind of an island, except it’s not. I guess it’s a peninsula, really. And not all of the peninsula lies within the new opening I created by taking out the wall. Part of it extends past the opening on the right side about a foot. Of course, I have no countertop right now, and the floor lamp is standing in for the dishwasher, so you have to use your imagination. The countertop will extend all the way to the wall on the right side. It will also extend towards/into the breakfast room about 14 inches, so it’ll be deeper than a standard 25-inch-deep countertop. So obviously I’ll want some sort of over-the-sink lighting, right? The question is do I just want one pendant light above the sink? That would look something like this. Or do I want two pendant lights over that cabinet section, with one above the sink, and the other one to the left, spaced so that the two lights are perfectly centered in the opening (i.e., from the right side of the open area to the end of the countertop on the left side), kind of like this? Or do I center three lights over the entire cabinet area (from the wall to the left edge of the countertop) and not worry about having one directly above the sink? I don’t know. There’s just something about having a light not-quite-centered above the sink that doesn’t sit right with me. So I kind of lean towards the one single pendant light, but I’m just not sure. 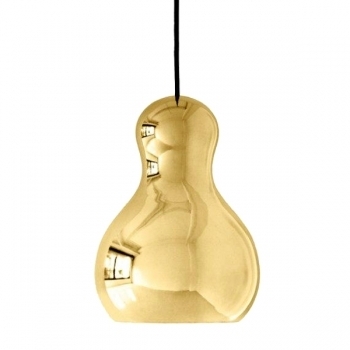 By the way, I borrowed that picture of the pretty little pendant light from Finnish Design Shop. Anyway, if you have any insight or suggestions for how to handle the lighting above this cabinet area, I’d be so grateful! I’ve been trying to figure it out for days, and I’ve gotten nowhere. Definitely two and the third one would probably brighten up that corner or highlight a vignette. Only you can tell if three would be TOO much though standing in the kitchen. Heck, make a paper one and hang it from twine to see what you think! See? That’s why I ask y’all for input. I get so many great ideas that I never would have even considered on my own. : ) I do this all the time. I even make paper patterns to pin to a wall to see if I like the size of the picture on a certain wall. Wrap them around a flashlight so you can see how the light flows at night as well. What a great idea. One thing you may want to keep in mind- it’s been a problem for me recently. The new “green” bulbs are brighter than incandescent. Even a 40 w is too bright for me in some fixtures. Consequently, one or maybe two fixtures may suffice. I agree. Definitely 2. I think 3 looks a bit too crowded and you don’t want those to interfere with the lighting you choose for the adjacent room but IMO just the one isn’t packing the punch. I totally agree, the three looks crowded, but the one is not enough, so it would have to be two. But it is sooo hard to say with it not actually done yet. So much to the imagination. But as of now, I am saying two. Two pendants. I am all about balance. Kristi, I go for 3 lights. Two lights will not be pleasing to look at if you are into decorating and you can never get enough light. Have them put on a dimmer switch and you can tone down the brightness to your liking. Remember, in decorating an art you need an odd #., 3, 5, etc. I like the idea and the picture in my mind of three pendents. I don’t believe there should be so much emphasis on centering in this case because the sink is not centered. I think you have to look at the whole area, both rooms to get the look you want, because they will be a focal point from all directions. Will be a beautiful focal point though, as the lights do not have to be expensive, just colorful. I have seen some pretty ones at HDepot, Lowes, for under 150. each. Well good luck with your decisions. Thanks for asking our opinions and making us a part of a wonderful project. I would strongly suggest you use two pendants …. one centered over the sink and one centered between the remaining two cabinets. I can’t imagine having 3 pendants and none of them “centered” over anything. The sink is the biggest issue to me. I’m trying to imagine myself walking into the room and ‘looking through’ to the breakfast room …. and the only thing that feels right are two pendants. My two cents worth … I know you’ll figure it out! Love the pendants you chose …. too pricey for me though. Aren’t there some cool metal pendants out there in great enamel paint colors? That might be awesome. I agree with 2 pendants too! Wow it’s a curly one. I like the idea off pendant lighting,but a bit pricey. I feel 2 pendants woul be just right. Yes as mentioned make a paper one and hang that to see what it looks like in the space that you are working in. But somehow you will figure it out as you are clever with your design. Agree, two pendents would be just right for the space! I agree! 2 looks great to me, I would only go to three if you really needed the extra light. my guess is since there aren’t cabinet uppers to block the light, it wouldn’t be necessary to have more than 2! How about two pendants, with one pot light directly over the sink? This is exactly what I was going to suggest! I vote for two, with one over the sink. Everything looks too off center with the third one. I really like that brass pendant that you used for an example. Definitely two – unless you end up picking really skinny pendants, then maybe three to balance it out. Also the paper model idea is genius. Have you considered putting pot lights on the kitchen side and then hang a couple pendants over the bar area instead? While I like the idea of the three pendants, I agree that it doesn’t feel right not having one centered over the sink. So I would go with either one pendant or two. It also depends on what other lights will be there. Is there anything that would light up the area to the left of the sink like a pot light? If so, one pendant would work. If not, two pendants would be better. In the corner where the stand-in dishwasher lamp is, are you going to have under-cabinet lighting (I’m assuming wall cabinets)? If so, that would take care of that area. And the suggestion above to make a mock-up light is brilliant. I like two pendants… it just looks more planned and thought out, if that makes any sense. Only one looks like you just threw it up there for the heck of it and three looks too busy. But two would be perfect. Can’t wait to see everything come together, especially excited about the painted floor and I am so impressed by the progress that you’ve made already. Check out homedecorators.com or their catalog if you have one. They have a nice selection of pendant lights that will screw into a regular light socket. Then if you get tired of one look, you have an economical way to switch it out. There is a beautiful set of 4 teapot lights that would be beautiful here. I saw them at Paul Michael’s in Canton. Worth the drive out and they are open all the time not just on Canton’s First Monday Trade Days. You definitely need two lights rather than one, I prefer the second option with the lights centered in the opening. i like something like this http://www.lowes.com/pd_157380-22685-66474-962_1z0wz0j+1z0y297__?productId=3314910&Ns=p_product_price|0&pl=1&currentURL=%3FNs%3Dp_product_price%7C0%26page%3D1&facetInfo=3 . but i would do two for sure. I like something like this one, centered over the sink. I would definitely do at least two. If the centering over the sink bothers you than stick with the two if not I would go with three, you can never have too much light. Rule of thumb is odd numbers, 1, 3, 5….once the counter is on it will look different than it does right now. One over the sink and the other two equi-distance apart and centered on the width of the counter, not the width of the base cabinet, the end location of each being the same distance from each end of the base cabinets. Balanced visually from the side and from the ends. BTW, I love following your posts, and I would love to know what paint you used to spray the tea cups to make the lamp. You ROCK! Oh…Amazon has great lighting. I found a discontinued semi flush mount to match the mini pendant I am using in a kitchen remodel. Could not find it anywhere else…and half price! I know ypo are al lover of symmetry like myself. One pendant seems to looke like an after thought while the two pendants look thoughtfully planned. I would go with the 3, just because you can never have enough lighting when working in your kitchen. Also, the 3 seem to be more visiable apealing, then the 2 does. Have you considered getting a different lamp that is hung from 2 lines but links horizontally and might contain even more than 2 or 3 bulbs (sorry if the description is awkward, there’s a limit to my English…)? Then you might have a look that’s not too busy but enough light in all the necessary places. I would go with 2 lights! Just one looks out of place and 3 looks crowded. 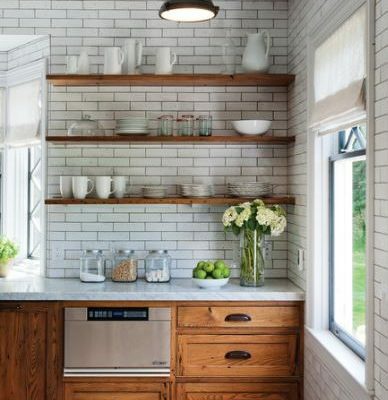 Looks like we all are leaning towards two pendants…..you absolutely need one over the sink. You’ll get there…you always do. I would install two pendant lights because I would want one directly over the sink, too. Otherwise, I would look into the cost of two recessed lights to place on either side of the pendant light….spacing isn’t as important. You can still have the pendant light over the sink with recessed lighting at whatever distance you want on either side. Having only one light seems “odd,” yet balancing three pendant lights without one of them being directly over the sink seems more “odd” to me. *Copy and paste the entire link into a new browser window. For some reason, part of the link was not captured in the highlight. Two for sure. I have two over my large island that has an off-centered sink. The lights hang 33.25 inches above the island (neither is centered over my sink), more toward the seating area of the island than directly over the sink and the counter. I really like them hanging at that height because they do not block off the sight lines of the room, and since they’re more over the eating area, there’s no chance of my tall husband banging his head into one. We also have pot lights in the rest of the kitchen ceiling, and rope lighting above the cabinets, and under cabinet lighting as well. Definitely two. And learn from our mistake and don’t hang it too low. You lean out over your sink a lot further than you think you will. We hung our too low and bumped our foreheads on it. I have a three-light pendant hanging in my kitchen and I LOVE the light it produces. There are many at Lowes where you can choose different glass shades and can also raise/lower the height to your specific needs. BTW…the ones I got were very inexpensive. You could go with smaller ones. Like just bare Edison bulbs and do 4-5. But that may be too much. I love the idea of making paper ones Just wrap it around a flashlight to see light patterns. Then you’ll know how they’ll cast light. Love your ideas but for me, I like everything in three’s – thanks to Vern Yip 😉 except not ova your island. I would use the pendant over a sink as a task light and matching pendant over the counter. I would initially drive me crazy but I would learn to love it? Good luck – I’m enjoying your journey! I have a peninsula as well but I could only put one over it because I had cupboard doors that opened and they wouldn’t clear the second light. I like the look of two as well for yours however your other option is to use one over the sink with 2 pot lights on either side. I have a ceiling fixture in my kitchen with a single pendant and we put pot lights in areas where we wanted more light ie over the stove, fridge, sink and both corners. We also have under cabinet lighting that turns on with a switch that is on the wall over the counter top. Is this an option for you? 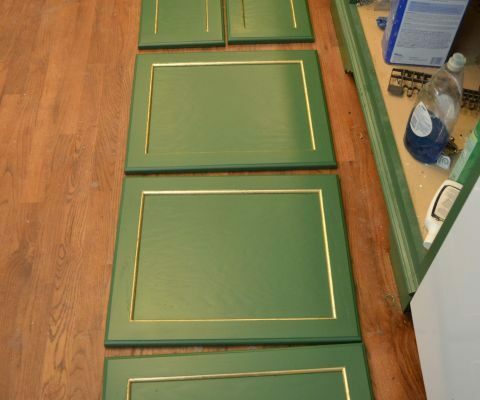 All you need is some moulding on the bottom of your cabinets. This adds a lot of light when you’re doing something and is perfect to put on by itself in the evening. It lights the kitchen enough so you can go get a snack night time without having to turn everything on. It won’t help over the peninsula though. So again I would add one with two pot lights or add two. You also want to see how low they hang. Would you want something hanging that low where you are washing dishes. Especially if your husband is tall or for resale value. It may feel like it’s in their face or if it’s not hanging low enough it won’t look like a proper pendant fixture. So hang something like a small pail where it would go and try it out. You may just have to go with 2-3 pot lights…..
Lowes has inexpensive pendant light fixtures and then you can choose whatever shade you like. That’s where I got mine. They have LOTS of shades to choose from. I’m sure the shades at other stores like Home Depot would work for them too. I vote 2 pendant lights. When I remodeled my kitchen, I got pendent from Home Depot for $17 dollars. I only needed one over the sink. I have a U shared kitchen. I didn’t like the globe, so I went to a lighting store and found the perfect globe in their extras for $3.50. Good luck! I vote for two. One is not enough and three really is a bit crowded. 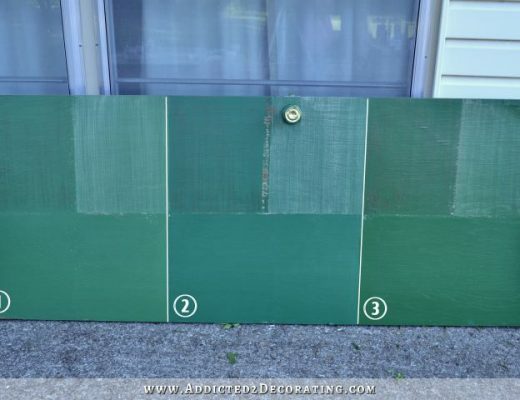 Good luck, I know the stress of figuring those things out, that is why it takes me months to decide something so simple as what tile to put in the bathroom. But then when I do decide I want it done like yesterday! I am so far from being any kind of expert in decor, but I will give you my 2 cents from personal experience. Our kitchen is similar to yours in that we have a peninsula and not much natural light. There is nothing worse than fighting shadows, so I would center the light fixtures on the island (cross-wise: breakfast room to kitchen) so that if you are at the bar, the light is above and in front of you and when you are at the kitchen sink, the light is above and in front. I can’t tell, but maybe that means hanging lights from the beam? Years ago we replace a dinky one light deal over the breakfast bar peninsula w/ a three light halogen fixture. It is probably woefully out of date now, but boy, the 55 year old eyeballs at our house sure love the bright lights! And…as for 2 or 3 lights: Great idea to hang mock-ups and see what looks the bestt. I rather like the under cabinet light over the dishwasher idea. Again, personal experience and aging eyeballs….MORE LIGHT! The BIGGEST thing to remember…taller people, an often overlooked group, will hit the pendants if they are not hung high enough. Looking forward to the continued postings! You should hang 3 lights. You can never have too much light in a kitchen. It’s a small kitchen and don’t you have a statement ceiling fixture for the center of the room. Adding drop fixtures seem like to much/to busy for that small area. At the most one small one over the sink. How about can fixtures spaced around the edge of the room. It will brighten the area the ceiling light will be less bright. Under cabinet lights are wonderful too, and you have the open walls to make wiring easy for that. Can you put in recessed lights? If so , I would suggest that for a cleaner look. Along that counter it looks like three would work the best. If you must have a pendant, I would center it over the sink. On the side of the kitchen where you have uppers, I would center them on the edge of the countertop. Use 6 inch cans with led bulbs and do not put all of the lights on the same switch. We remodeled our kitchen in 2012 and lighting was a game changer in our formerly dark north facing kitchen. Don’t forget under cabinet lighting! Even if you can’t fit it into your budget now, have the wires installed. If you aren’t familiar with Gardenweb, check out their home forums. There is a kitchen and a lighting forum with lots of experienced people giving advice. When I said not to put all the lights on the same switch, what I mean is put the lights on the same area together on one switch. So your wall with the uppers would be on one, the sink wall would on one, under cabinet on one, etc… But you might have more than one switch control each bank of lights so you can turn them on and off from different locations. Recessed cans ~ on a separate dimmer switch ~ in combination with a single over-the-sink pendant would provide all the necessary light and options for intensity. Definitely 3 for balance. You don’t really need task lighting over a sink but can use a pot light if you feel you need it. I am with most people………two pendants look right. Standing in your breakfast room looking back into the kitchen will there be anything to throw the look out of whack? I think it is important to look balanced from all perspectives. I’d go with the single pendant above sink…and use recessed lighting for the other parts of that counter. I would do the two lights as pictured. I think that because of the opening, and they will look centered from the other side. I think you will want to have additional lighting over that peninsula, as people will probably congregate there! And you can always put a small lamp or something in that corner where the dishwasher is. 1) Pot lights on the kitchen side and pendants over the bar. 3) A serpentine light strip for a bit of fun movement with spots that can be adjusted to shine where needed. 4) One long bar-style light that hangs down and has 3 lights across it. Definitely go with the mock presentation of the lights nothing is better than an actual visual. Things that are not centered or spaced properly drive me nuts! I’m leaning towards two, and I’d stick to something simple I’m assuming that’s not going to be your main lighting so keep in mind that whatever you choose to hang over the sink and cabinet should accent your main lighting choices and not overpower! Love the progress can’t wait to see the finished project! I like the 2 option the best. As a pp said, if you go with really skinny fixtures 3 could work, but 3 just looks too busy to me. And kind of strange to have a pendant in a corner. They’re meant to be seen and so having the third behind the little wall area look off to me. Two seems the best fit. We have 2, on either side of our sink. But there is a can light directly over the sink… So if 3 isn’t crowed you could do the can light over the sink to balance it out. i think it has been mentioned but a pot light over the sink and then a pendant over the peninsula. I am a fan of odd number groups so what about 3 smaller pendants, the ones that are slightly bigger than baby food jars over the peninsula and then be sure to have them on a dimmer. You’ll always have the amount of light you want that way when you want it. For the corner, I have seen a lot of counter lamps these days. Have a plug in installed right there in the corner for it. My vote is for two! I think one looks puny and three looks a little busy. I am loving the pendants found at World Market. They might look really nice with some Rub n Buff to match the ceiling light fixture you have already chosen for the space! I would do 3 but make each accessible from the light switch. Sometimes you might only want one on but other times you might want all 3. The first house I had built had tons of lights – sometimes I used them – sometimes I didn’t. Now living in an older home – there are times I really miss the option of having more lights. In the mock-up the second one looks better, but I wonder if that’s an illusion caused by the lamp standing in for the future dishwasher? Worry when there’s a wall and counter there that little corner may feel dark?a coordinating sconce of some sort on that wall maybe? Thinking out loud here…. Have you ruled out recessed lighting? I like the look of two pendants, but agree you should do a mock-up of some paper ones just to be sure! Two if you want pendant lighting but how about considering recessed lighting on a dimmer?? Use directional recessed or surface mounted lighting for your task areas, ie. the sink. Place it so when you are at the sink your body doesn’t block the light. Think of the pendants as another layer of light and decoration. Odd numbers are always more pleasing to the eye, but you don’t want to have too many for the area. Two pendants looked the most appealing to my eye. If you chose to go with an odd number, I’d go with one centered over the sink. I think a can light over the sink area and then pendents over the breakfast area would look nice. I’d say either two pendants, or one pendant with pot lights for the rest of the counter. *how bright are your ceiling fixtures in the kitchen and breakfast room? *will you be using the bar to eat at often? *will you be using the counterspace for baking? If your ceiling fixtures are really bright, you can probably get away with just the one pendant over the sink. (I like the style you chose, BTW) If you’ll be eating at the bar often and/or using that space for baking, you might want 2. Not sure that space warrants 3 pendants but a lot of people like the odd number. I had a very similar situation and went with two lights. I haven’t read all the posts but remember there can be a huge range of sizes in pendant lights. Most pendant lights are 9-12 inches whereas the mini pendants are 6 inches. You may want to consider a 6 inch one. I went with art glass and I love it! Have fun! I like the two lights. Three looked a little crowded. And you definitely want one centered over the sink. One by itself didn’t look quite right. Good Luck! Hang the “lights” or whatever you’re using to stand in for them and see if you think three lights is too crowded. If so, choose the two pendants, but whatever you do, don’t go with just one! I have a kitchen without enough light, so I know what I’m talking about. Mine has lots of natural light, but when the sun goes down it’s not enough. I can’t imagine the light of one bulb being enough to do your work there. Wait until it’s dark and then check out how much light you get from one, two, and three bulbs to help you decide. Good luck! I vote the two light option! I think one isn’t enough and it might make that area over to the left seem “left out” (hahah I’m so funny). Three lights looks like a lot for that space (in my opinion). Everything you have done so far is spot-on, over-the-top awesome! Whatever you do on this project will be fabulous! You always keep us all smilin!! We have almost exactly the same set up you have, minus the header (we have a soffit). Originally there were two can lights in the soffit (can’t use pendants because it’s too low). Neither was exactly over the sink, but they were each spaced equal distance from the left and right edges of the soffit. NOT ENOUGH LIGHT. We had an electrician come in an wire for a third, between the two. None are directly centered over the sink, but you don’t notice it. We definitely needed 3 lights. Me thinks you are over thinking this. You know the rule in decorating is odd numbers, one is not enough so it’s 3 unless you want to go hog wild and have 5. There are some small pendants that would be acceptable in 5, but my choice would be 3. Center one over your sink if you must then evenly space the other two to the left of that one. Since you are tieing your breakfast room and kitchen together, put a great lamp to the right of the sink. I have a lamp on my island and also on the counter next to my bar six. I only have pot lights because I have a huge pot rack over my island. I do have a single pendant in my kitchen window. The lamps create a nice glow in the evening when the rooms aren’t in use, but may have someone pop in for a snack or a pass through. Oh, I forgot one other thing, please do not kill me, I hate those pendants that you love! You have a beautiful ceiling fixture, and I guess you will go with brass fixtures on your cabinets, but you are doing white concrete and a painted floor and you are starting to mix styles, which is perfectly fine, you just have to be careful of the levels of formality of the styles. I think from what I have seen, your cabinets are going to be very formal with the brass knobs and ceiling fixture. You might want to tone down the pendants to something like a green art glass, or white with a brass collar. Again, just my humble opinion, and a perspective from an older eye. 2 lights- that light off center over the sink will drive you crazy! Just hang a paper newspaper shaped hat as close to the size you think you will be using from the ceiling where you want the lights to go. Can’t wait to see what you do! I like two lights but would center a pot light over the sink. I want/need lots of light for the sink so I can see what I am doing Regardless of your decision I know it will be beautiful since I like whatever you do. Have a great day. This may sound old-school, but what if you put a track in? They make some pretty cool pendants now with track adapters on the end of the cord so you could do one, two, or three at your whimsey (and slide them left or right) or change them out for a new look or even add spot lighting pointing in the other direction. If you did a U-shaped track around the whole kitchen, you’d more or less have complete flexibility. 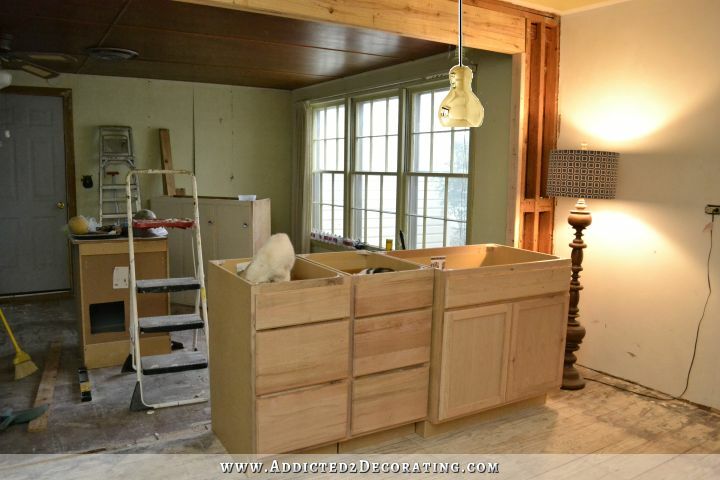 I say all this because kitchens are notoriously hard to get enough lighting into so that you don’t have dark pockets and you really won’t know where those are till all the cabinetry is in place. All that said, I’d vote for 2-3 pendants especially if you’re not going to have an overhead. Pendants are usually focused on a very small area and the sink area needs the extra task lighting. Can I be weird and say use can lights instead!!? The pendants just block the open view. Disclaimer-I don’t really like pendants that much. If you must have pendants, then 2. Definitely 1 centered over the sink. Totally voting for two, and wishing you’d done a survey like with Survey Monkey, so I could easily count votes. (But it looks like two is winning). 2 lights. It looks best and I agree that you need one above the sink. I am going to go against the majority and say three pendants. Three is simply more interesting and will give lots of light otherwise go with track lighting. I would make a light fixture…using three lights! I would use mason jars and hang them from a L-shaped fixture that matches your style. Some of the lights are bright, but if your worried about that, install a dimmer switch when you install your lights. Looking good!! Check out Hubbardton Forge lighting (made in Vermont) at http://www.handmadeinvermont.com. Really interesting pendant lights…a bit pricey, but nice design. I think they come in several finishes, however I have never seen their lighting available in the striking gold you have located. Well, I hate to throw a spinner in the works but you may want to take a few more measurements for planning. While at a friends house recently, we were deciding on the proper light bulbs! That’s right. She had already found her fixtures and had them installed during her kitchen remodel. I learned several things I’d never have thought off had I not talked to her. First, how long is your counter? Measure where the sink falls in that measurement. Different fixtures have different light spreads and so you want to consider this when choosing your fixtures so you have overlapping light coverage instead of two (or three) separate ‘spots of light. I think the choice of lights you have of that style (mini pendant) is really daunting because the choices seem endless. If you have a lighting showroom or a kitchen and bath showroom near you might want to look at the light distribution of several pendant styles. I understand and sympathized because the peninsula where my sink sits is between the kitchen work area and the eating area, right where the vault begins for the eating area ceiling! My husband installed a round, three light fixture with adjustable lights. It has been a life saver, too because the flat part of the ceiling ends just slightly behind the area you would normally install your light fixtures. Yes, in the future I intend to install some recessed lighting to help the problem. Oh, also give a shout out on Hometalk,Houzz, and other similar sites. Given all the professional kitchen designers and the number of subscribers who have remodeled their kitchens, I bit you will get some great advice. Oh, BTW, it was amazing how much difference it made to the lighting as we tried each of the three bulb choices she had. Gave me a headache to realize that I not only have to pick out the fixtures but the proper light bulb, too! I normally like the rule of odd numbers, but I definitely think one pendant is NOT enough. One pendant must be directly over the sink. On the breakfast room side, are you pouring the countertop all the way to the exterior wall or not. If you are stopping the countertop at just the opening, then two pendants might be best. However, if you are extending that countertop behind the closed off portion of the peninsula, then three would be best . Hope that’s understandable. I would use those recessed ceiling lights over the cabinets on each side and center a pendant light over the sink. To prevent shadows and dark spots I think you’ll need three lights so the light is spread across the whole area but I don’t think you have to do it all with the same type of fixture. I would have the two recessed lights on one switch and the pendant on a separate switch so you can adjust them for mood in the evening and not have to have them all on all the time. PS…be sure to have a wall plug-in placed near the dishwasher, you’ll need a place to set your crock pot after you get it filled up. You don’t want to have to carry it across the kitchen to some other area…too heavy! a kitchen. Put a dimmer switch on it for when you don’t need task lighting. I learned this one the hard way. What other lights will there be in the kitchen? I am big on alot of light, especially in the kitchen. Off the top of my head, I’d say more than 1 pendant. Please take pics of the paper pendants so we can see! I’m sure whatever you end up deciding will look good. You have excellent taste. Your finished product/room etc always looks good. I think two looks the best! What if the pendants were hung over the bar side instead of the sink side? So they would be on the other side of the beam and above where I am assuming you will have bar stools under the 14in overhang. I like the idea of 3 spaced over the countertop on that side. Maybe. I think you need at least two! I believe that lots of lighting is good! Are you going to put light in anywhere else in the kitchen (eg downlights) Also, weren’t you going to out a small wall/piller up at the end of your kitchen bench so you could have those funky lights on them? – Is so….would you have on on the kitchen side or just the dining side? Food for thought!! Love it tho! p.s – I looked into your concrete counter tops, and love love love that idea! I’m in australia! still looking to see if something similar over here! Not having one centered over the sink would bug me. I think I would do one pendant over the sink, and a pot light on each side. Will the peninsula have a space for bar stools so it also serves as a breakfast bar etc? If so, how many? What will the pendants look like from the breakfast room looking into the kitchen? I think it is just as important that they be balanced from that side. Just from your photos, I’d say 2 looks right to me for the size of the bar, but it could totally be different depending on all those other circumstances. I too am curious as to whether you will also have some recessed lighting. 3 lights one centered over sink, the other two over peninsula all equidistant apart. I like an odd number and you definitely want one over sink. Make sure they are hung at a height so you don’t get a glare. I think three pendant lights would look the best and, obviously, offer more light. You could maybe get away with two if you must, but definitely not just one. But that’s just my opinion, and your readers have sure offered plenty of thoughts here to help you think this through! I vote for 2! But whatever you decide will be beautiful as usual. Love following your blog! Here I am going out on a limb now. I definitely recommend the two pendants, but I would not centre one over the sink and the other symmetrical to the first. Instead, I would centre both pendants on the entire peninsula. With all of that light, you don’t need to have one directly over the sink to see well. We re-did our kitchen a few years ago and put two pendants over our island. Neither of them was directly over the sink that was in the island, but we had no problem seeing well. It looked well balanced and warm. My thoughts are two lights. Something to consider…don’t let the lights block the light/view coming from the window you can now see in the other room. I love that little pendant light; Pendant lighting in your kitchen can be both practical and beautiful. Kitchen lighting ideas to help illuminate your space. A carefully thought-out lighting plan can be your kitchen’s best asset, which will add elegance and glamour to your kitchen. I thought the light spread comment was spot on (couldn’t resist the pun-sorry). I prefer a well lit kitchen, so I can keep it sanitary. Having a light over the sink is important for that reason. You can do a combo of recessed can lights and pendant lighting, or go bold and do a perimeter of recessed directional lighting in addition to some pendants or wall lights. I also encourage you to have more wall and counter electrical outlets than recommended. Maybe throw in some outlets with usb ports as well as wall wiring for electronics (TV, computer etc). You are going to have a blast! My vote is for two pendant lights. I wouldn’t be able to cope with having a light over the sink off centre, so three is out for me. I also like symmetry and so a single light above the sink sits wrong in my mind as well. I am not to sure about pendent lighting in that area. You have a beam that seems like it will run across the almost center of the counter top. Pendent lighting is very beautiful and can be costly. I would go for can lights in the kitchen it is a much cleaner look. I think you might have a lot going on in that area when all is said and done. But if pendant light is what you want I would go with two. My first thougth was three, but if not, two and a pot light. Better too much light than too little! I think 2 looks better with the pendants you are using for the pics but it would depend on your final choice of pendant light really. I think if the pendant lights are going to be a little smaller in design then 3 would look better. And maybe you’d consider these mouth-blown Addie pendant lights in clear from Ballard Designs? That way your eye may continue into the other room? And they are “only” $189.00 a piece. I would go with the two pendants. Make sure they’re not too low, however. You don’t want to be knocking them around with big, wet pots. 🙂 If you find the dishwasher corner/area is somewhat dark, you can always add a decorative lamp. I am thinking pot lights afterall you wanted a open area….!.! That is outrageous $450 for one light, are they crazy or what…!!! Center the two pendants and put a pot light over the sink. Three pendants would be too crowded. I admire you for your energy! After opening up that area I wouldn’t want to hang something to distract from the view so I’d go with pot lights or a fixture that is closer to the ceiling….but…this is just my opinion…you go with what you love. Two or three pendants, depending upon the amount of light you need or want and the space for use. If you definitely want pendants, I vote for two! I think the pot lights is a great idea and won’t obstruct the view. Is there another place where you could use pendant lights in the kitchen? Lowes had some really need. Shaped glass pendants you could spray paint them that color ….way cheaper! Based on the size of the cabinets 2 lights appears to be the right decision. 3 if you chose very small fixtures that had a very distinct style like the ones in this picture. http://www.houzz.com/photos/711947/Home-in-Novato-2-eclectic-kitchen-san-francisco. This may have been suggested in previous comments, but you might try buying three gourds. Yes, gourds. The size and shape of your photo lights. Cut bottom and remove seeds, drill hole for proper wire fittings and paint or decorate as you wish. You could even drill holes in them in a pattern so the light shines out to make a cool show on the walls. I am planning on doing this when we add on in a few years. Btw, love your blog! You may have already decided this (I lost your feed for a few days), but I would center one over the sink and use can lights for additional lighting over the peninsula.